A horrifying attack devastated the coastal city of Nice, France, on Thursday, Bastille Day. A driver plowed a truck into a group of spectators who were watching fireworks on the country's holiday. The attack has resulted in at least 84 deaths and more than 200 people injured. To add to the misery of the attacks, though, some politicians are stirring the fear-mongering pot and capitalizing on the opportunity to push a racist agenda, targeting Muslims, and Newt Gingrich appears to be hitting this point hard. In an interview on Fox News with Sean Hannity Thursday evening, Gingrich called for all people of Muslim faith in the country to be questioned, saying that the United States should "test" every Muslim. “Western civilization is at war. We should frankly test every person here who is of a Muslim background and if they believe in Sharia, they should be deported,” the former Speaker of the House told Hannity. “Sharia is incompatible with Western civilization." On Friday, Gingrich tweeted that there were "amazing distortions" of his interview with Hannity and he held a FacebookLive discussion in response. This sort of rhetoric from the man who was on the short list for the vice presidential nomination on the Republican ticket horrifying on its own. However, this type of proposal is also the type of fodder that is potentially instrumental in recruitment efforts of terrorist organizations, not to mention unconstitutional. Is Gingrich suggesting some insane, unrealistic effort to "thought police" the entire Muslim-American community? 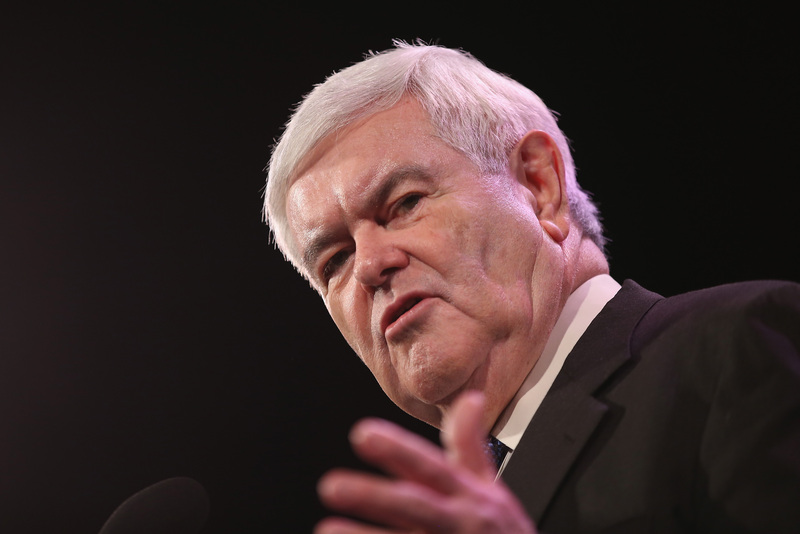 This isn't the first time Gingrich has gone after Muslim-American rights. In 2010, when a group proposed the implementation of a Muslim community center in downtown Manhattan, Gingrich protested such a structure, saying it would be like putting a Nazi sign next to a Holocaust museum.